Finally! Some Success in the Gulf! Heard the leaking well was finally capped successfully, no more leaks. In watching the video through the process I was surprised to see what looked like a evil scarecrow walking around down there. Turns out to be the well itself. 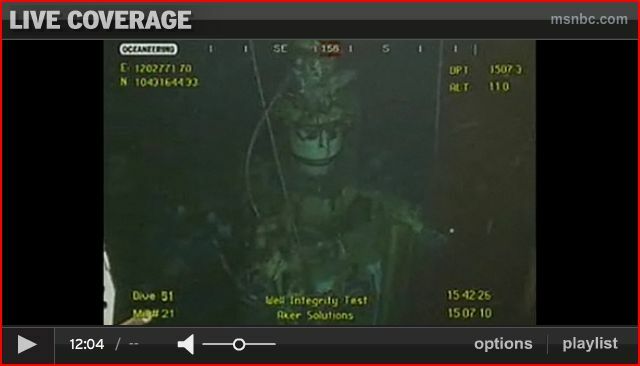 This entry was posted in Opinions and tagged BP Gulf Disaster, capped well, evil-looking scarecrow. Bookmark the permalink.